As an Atlanta Falcons fan, it’s been refreshing to see the team get into the playoffs four times since the 2008 season. This year hasn’t been the best but the Dirty Birds have still been competitive at 7-7 entering the Carolina game. The Panthers, on the other hand, were the league’s best team at 14-0. They are an NFC South rival and their quarterback, Cam “Dab” Newton, is a local guy having attended Westlake HS. Just two weeks ago, Newton and Company beat the Falcons 38-0 in Charlotte so a little payback was on the menu. PSBPopCulture.com Team Member, Taylor Johnson, joined me in the Mountain Dew suite for this one and the atmosphere didn’t disappoint. I have to toss a huge shoutout to Floyd Ferjuste of PepsiCo. for the assist on this one. The Georgia Dome was packed with seemingly a 50/50 split of Falcons and Panthers fans. It was a huge win for the Falcons spearheaded by a highlight reel touchdown from All-Pro Wide Receiver, Julio Jones. Brandon Clay is a contributor to PSBPopCulture.com through his various genre reviews. A self-professed entertainment & music junkie, Clay has been on his game since picking up his first Nintendo and Sony Walkman in the early 90’s. You can follow him on Twitter @PSBPopCulture. As if the rumblings of these two teaming up for a collaboration album weren’t loud enough already, they each dropped separate tracks on the other’s beat. Lamar chose Cole’s “A Tale of 2 Citiez” while Cole jumped on Kendrick’s hit “Alright.” Neither spared the beat going all in with A Game verses to hold us over as we wait. Cole even alluded to a possible release date during the month of February. Stay Tuned. For now, enjoy both of these songs. Lamar establishes his voice right away referring to himself as “The People’s Champion.” Right now, he’s established himself as a mainstay of hip hop for the forseeable future. If we needed proof of his current status, the feature on Taylor Swift’s “Bad Blood” cemented Lamar’s emergence to the A-List of the game. The Retro Jordan 11‘s are arguably the most popular shoe in the Jordan Collection. I can say with certainty that they are for me. The combination of the patent leather and crisp lines on the shoe make it a must purchase anytime a new color way is released. 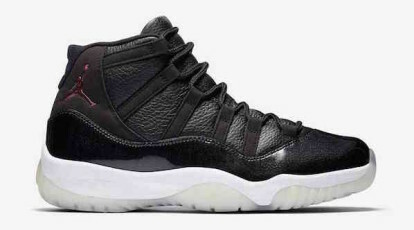 On December 12th, Jordan Brand dropped the “72-10” version. The shoe is in Chicago Bulls colors to celebrate the 20th anniversary of the Michael Jordan-led team that won 72 games en route to the 1996 NBA World Championship. The shoes were (and still are) relatively cost friendly with a retail price of $220. While the shoe isn’t available on any retail sites that I could find after the end of first day release, multiple secondary resellers have them for under $320. These make an ideal Christmas gift for the sneakerhead in your household. BREAKDOWN: This catchy beat produced by T Black The Hitmaker has the makings of a radio single. Law talks that money talk on this one. The wordplay using the popular Rolls Royce Ghost automobile and counting money in a Phantom (also a Rolls-Royce model). BREAKDOWN: Law addresses the death of his close friend Ronnie. 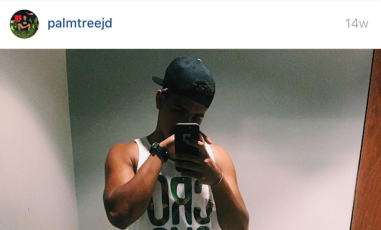 He serves as motivation for the whole Goodlife movement to kick down the doors that the industry didn’t hold open. CLAY’S NOTE:Law expressed to us in our interview that Ronnie was like a brother to him. Look for that interview to be posted later this week. 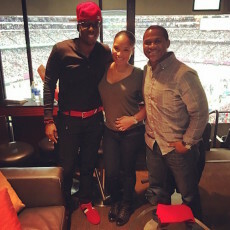 BREAKDOWN: Delano (Sr. is the Goodlife CEO, Jr. is Law’s longtime running mate) and Nette (Executive Producer) have set the deck for Law to succeed. After the shoutout, Law goes on to addresses the patience to withstand the wait for greatness and the haters involved in the day-to-day grind. BREAKDOWN: With the recent troubles surrounding rap artist Rick Ross putting up his house for bond to be released from prison, having the money for bond is more important than ever. Law addresses this talking about everyone in his crew from his homeboys to his girl having the bond money ready at any time. 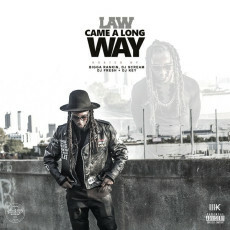 #PSBPopCulture Interviewed @law_goodlife about his "Came A Long Way" mixtape for the website. Originally from Cameroon, raised in the A. Legit music. •	You can chose from a wide variety of topics as opposed to being limited to what is on the radio at the moment. •	You can pause and start the podcast at any moment. Or you can even go back and listen to the episode again at any time. •	The production quality of these podcasts is usually A-1. The content is well thought out and worthwhile. 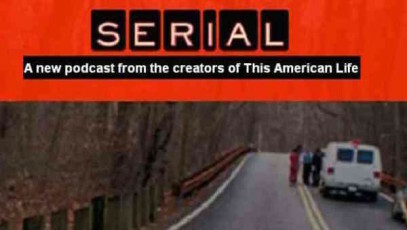 The Serial podcast is a must-follow in my opinion. This podcast broke an iTunes record with 5 million downloads and streams last year. It became the fastest podcast to ever reach that milestone. Last year, I listened to all 12 episodes of Season 1, which a real-life murder history that was told by This American Life and Sarah Koenig. The story centers on a murder of a teenage girl, Hae Min Lee, in 1999. Her boyfriend, Adnan Syed, was arrested and convicted of the crime a few years later. Koenig, the investigative reporter for the Serial podcast, conducted interviews and retold the story of Lee and Syed through the twelve episodes. It is a compelling story. Koenig found that many of the facts that she dug up, neither the jury nor the public ever got to hear at the time of the case. Season 2, episode 1 of Serial was released last Thursday. The story that Koenig and her crew choose to tackle is quite different than that of a teenage murder mystery. Bowe Bergdahl was a soldier in Afghanistan who disappeared from his post in 2009. In 2014, he was returned by the Taliban back the United States. However, Bergdahl is now being charged with crimes that could land him in prison for life. He has not done any interviews with the press until now. The Serial podcast tells his story and will release a new episode on every Thursday. You can download all of these podcasts on your iPhone in the podcast center or listen directly on the Serial website. For more of my favorite podcasts and reading material, check out my personal blog on CoachHemi.com. Jonathan Hemingway is a Chicago sports fan who reps the Bears, Bulls and Cubs. He’s also a diehard NFL Sunday Ticket subscriber. Like Clay, Hemingway’s music taste are wide-ranged and depend on the day. He is also a major part of PeachStateBasketball.com wearing multiple hats with the title of Director of Domestic Scouting and owning CoachHemi.com. Brandon Clay’s Note: In addition to assisting me with everything #TeamPSB on a daily basis in the office, Taylor Johnson manages to be one of the most fashionable people in Atlanta. She serves as my personal stylist. Together we develop a style going into each season that I can rock both inside and outside of the gym. Keep a close eye on all of her #FreshStyleFits pieces. Skinny jeans aren’t going anywhere anytime soon, but flared jeans are making a comeback. Flared jeans are a dramatic piece to any simple outfit. How to wear: I was introduced to the look after seeing celebrity fashion designer Rachel Zoe discussing the look recently. My take is that flared jeans look best with a great pair of healed booties in the fall and winter. The key to making them look right is to make sure they are the right length. With heels on the flared jeans should be almost touching the ground. The longer the jeans, the better for this dramatic jean look. I dropped my pair of Lucky Brand Brooke Flare jeans off at Brandon’s tailor today to make sure my jeans were the perfect length. 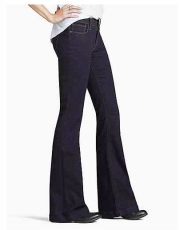 When to wear: Flared jeans are easy to dress up or dress down for a night on town or for a casual daytime outfit. I’ve got the jeans with some booties and an oversized sweater to dinner Friday night. I’ll post a picture afterwards. Taylor Johnson serves as Brandon Clay’s personal stylist and is one of the most fashionable people in Atlanta. While attending graduate school at Georgia State, she’ll contribute to various categories throughout the PSBPopCulture.com site. 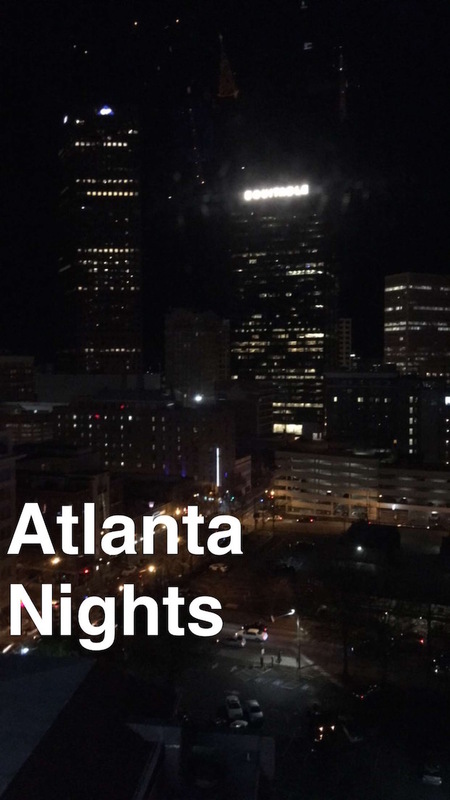 ATLANTA, Ga. – After leaving the Atlanta Hawks game on Monday night, the PSBPopCulture.com Team made the short walk down the street to SkyView Atlanta. 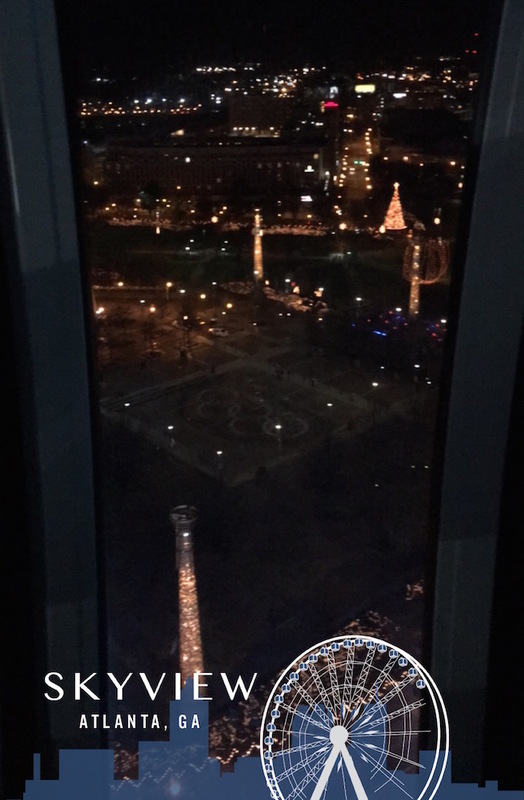 It’s a cool option for a small group or a couple setting to take in the city from a ferris wheel. The pricing is for an approximately 10-minute ride is $13.50 per person for an adult (13 years and older). 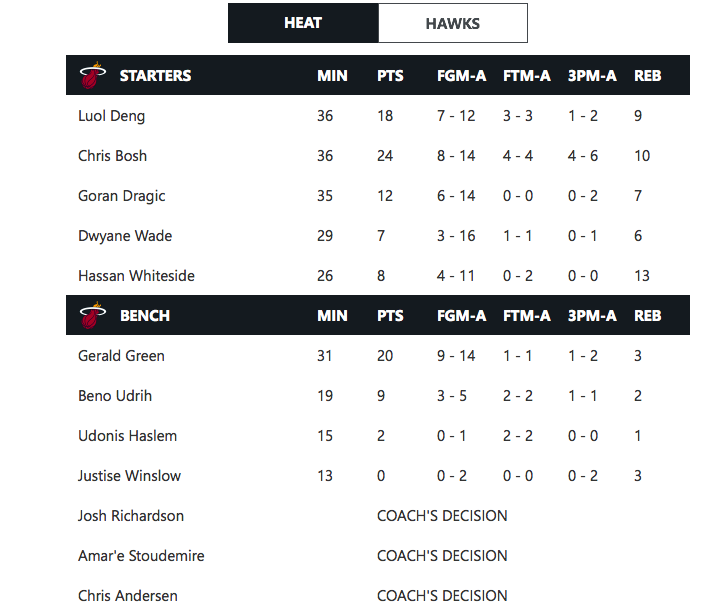 ATLANTA – With the Miami Heat in town, it was a perfect time to check out the Atlanta Hawks live in action for the first time since Opening Night. PSBPopCulture.com Team members Jordan Davis and Taylor Johnson were on hand for the action. The crowd was filled with music stars including Atlanta-based acts Keri Hilson sitting two rows in front of us and 2 Chainz across the floor sitting so close he could trip a ball player. 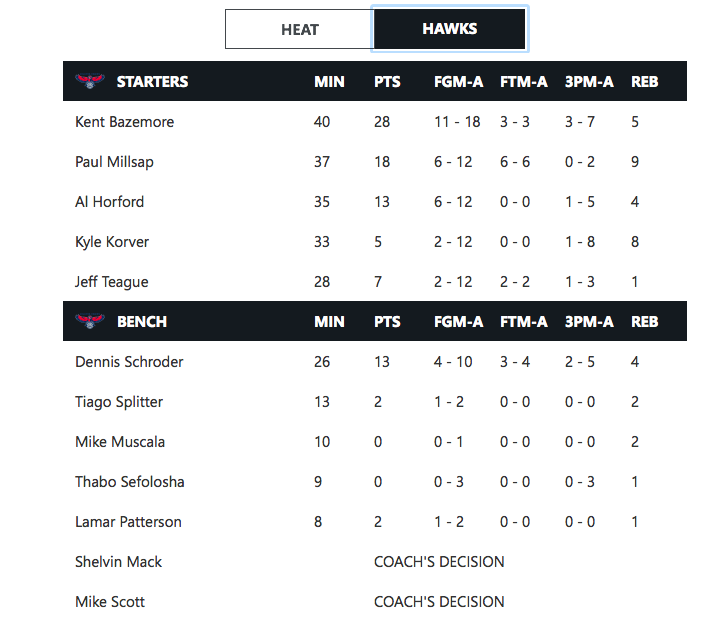 On the hardwood, Kent Bazemore (Hawks) and Chris Bosh (Heat) led their teams statistically as the Heat led this one from the start. Expect to see both of these teams in the Eastern Conference Playoffs with a rematch possible along the way. Jordan Davis is a contributor to PSBPopCulture.com with a unique blend of #PSBPopCulture reviews. Davis has been rocking the latest trends since arriving here in 1995. 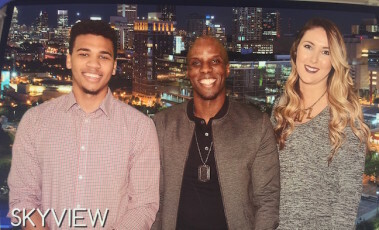 He is currently a student at Kennesaw State, a Social Media Intern with PeachStateBasketball.com and is well on his way to being the youngest in charge sooner than later. Between spending time trying to keep a decent GPA and 50 cent wing nights at the campus Wingstop, it’s (real) hard to keep a good diet and real easy to gain weight in college. Luckily, I have three close friends that are constantly keeping me on track and headed in the right direction. Both of my workout partners, Taylor Grant and Bo Danso, are majoring in exercise science so they lead our workouts every night with their knowledge of the body and muscle groups. Taylor wants to own a physical therapy facility, while Bo wants to own a gym. Because of that, every night is like a free professional personal training session. I take a lot of their health and fitness ideas as well and try to incorporate them into my life. I dig the way Bo always keeps track of his protein and carbohydrate intake to make sure he’s getting enough and the way Taylor plans his meals 2-3 days in advance. CLAY’S TAKE: I appreciate that fella. Honestly, for me it’s become a lifestyle. It’s a numbers game in terms of calories in versus calories burned combined with the amount of fat in those calories and protein intake as well. With my travel schedule, I have to be very cautious of what I choose to fuel my body with on a daily basis. I wasn’t blessed with the genetics to eat whatever I want and still stay in optimum shape. I had to greatly reduce my sugar intake in 2013 to see gains. I love slushies, Swedish Fish and things of that nature so it was an adjustment. I’ve replaced those things with other products that I like including granola and sugar free Trident gum. This fall, I’ve adjusted my cardio to make sure I’m in the gym on a daily basis. I tell people often that it’s a daily choice to be great in any area. I feel as if I’m competing against myself and Jordan amongst others to get better each day. Owning the fact that I want to be in shape has made me that more accountable for sticking to my goal of being in great shape. The PSBPopCulture.com Team gave me a hard time when I made the life adjustment to reduce the sugar a couple of years ago but that’s exactly the motivation I need to be successful. I function at a high level when people tell me I can’t get something done. The initial vision for the PSBPopCulture.com website was to provide our team a home to discuss everything that happens when we aren’t in the gym. Since the release of the site in October, we’ve received feedback from people of all walks of life. From Elbert Kinnebrew in California to Shane Laflin in Texas, we appreciate everyone who has taken time to read the content we work so hard to post. That type of response is exactly what we wanted. Whether it’s interviews with the future of (Atlanta) music, reviews of the TLC series series “Coach Charming” to our take on the University of Missouri situation, we’ve aimed to bring a diverse set of topics to the website and our social media account as well. Our Team has been fantastic with emerging stars Stella Alverson and Jordan Davis leading the way with top shelf content during the Fourth Quarter of 2015. Veteran writer Jonathan Hemingway has been as clutch as Jay Cutler was on Thanksgiving Day. We’ve delivered 40 original pieced since the mid-October launch. We could not have done it without article assists from people like Donte Grant, Terah Moore and Carl Reed. So what’s next for our team as 2015 turns into 2016? 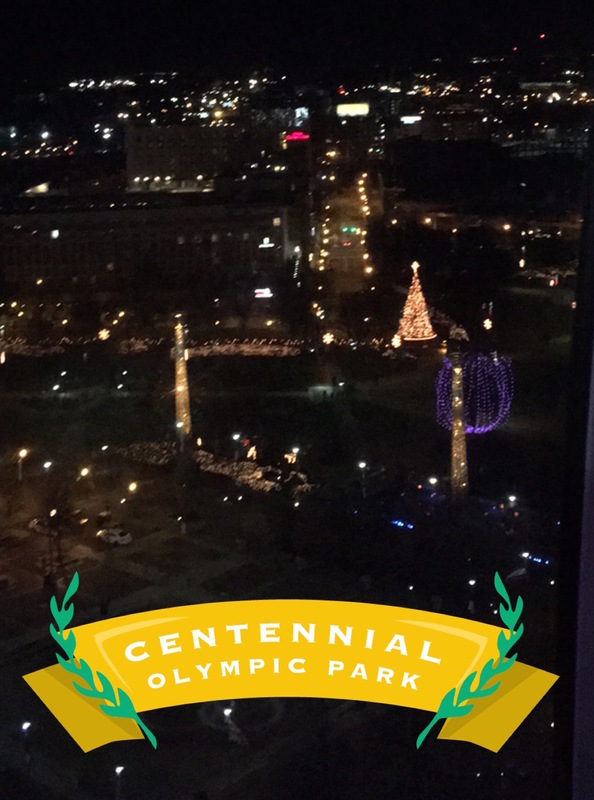 We have interviews lined up with up-and-coming music artists like Riley Bierdrer, live access to NBA games and even have Justin Bieber’s “Purpose Tour” in Atlanta on the calendar to cover. If you want us to tell your story, feel free to contact us via DM on Twitter to make it go down.